It closes a loophole that led to the conviction of the driver charged in two girls' deaths being overturned. When the calendar rolled over to 2019 last week, a number of new state laws took effect, including one that arose from a case out of Forest Grove several years ago. In 2017, the Oregon Court of Appeals overturned the conviction of Cinthya Garcia for failure to perform the duties of a driver. 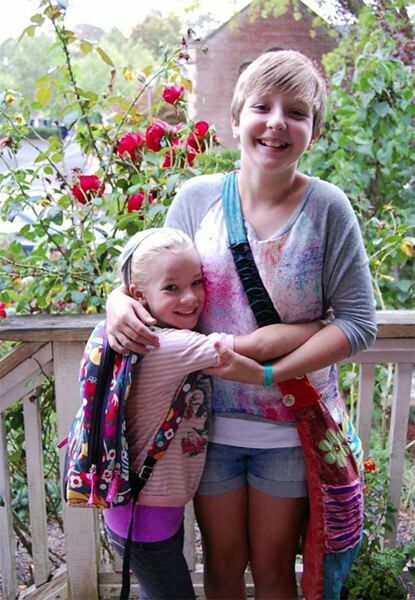 When she was 18, Garcia unwittingly struck two children — stepsisters Anna Dieter-Eckerdt, 6, and Abigail Robinson, 11 — playing in a leaf pile in Forest Grove in October 2013. She said she did not know what she had hit, believing it may have been a log or a pothole, while driving and only learned she had fatally struck the young girls after her brother returned to the scene, found out what had happened, and then went home and told her. Initially, a jury in Washington County Circuit Court convicted Garcia of the hit-and-run offense in 2014. But the appeals court interpreted state law differently, finding that the duty of a driver is to stop can be imposed "only on a driver who knew at the time of the accident that he or she was involved in an accident and thus can 'immediately' take action." The Oregon Supreme Court upheld the appeals court's interpretation, leaving open what critics described as a loophole in Oregon's hit-and-run statutes. As of last Tuesday, Jan. 1, a modification to those statutes that supporters call "Anna and Abigail's Law" is effective statewide. Inspired by the case, and informally named for the girls who died in the 2013 crash, the new law changes and adds language in state statutes to require drivers who learn they may have been involved in a crash after the fact to "as soon as reasonably possible make a good faith effort" to perform the required duties, including providing their name, address and insurance information. "In making this change, someone in the future already trying to survive their perfect storm will not be faced with what we have had to go through over the last four years," said Susan Dieter-Robinson, Anna's mother and Abigail's stepmother, during a February public hearing before members of the Oregon House of Representatives. Dieter-Robinson asked for Garcia not to be sentenced to jail time in 2014, when she was originally convicted. But after the conviction was overturned, she became an advocate for changing state law to close the hit-and-run loophole. Bracken McKey, a senior deputy district attorney in Washington County who prosecuted Garcia, also supported the change. "Think about Oregon's hit and run law as the Court of Appeals has now defined it," McKey said last year. "You can be less than a block away and moments later in time when you know you have run over and seriously injured another person, you have zero responsibility to help them, no responsibility to call 911, no responsibility to take steps that might save a child's life or at the very least lessen the emotional burden on a grieving family." Anna and Abigail's Law also extends to collisions with animals who may be pets or otherwise domestic property. State law already required any driver who believes they hit a domestic animal to stop, "give reasonable attention to the animal," and notify either the owner or police. Under the new language, those requirements also now apply to a driver who learns of the collision after leaving the scene. House Bill 4055, the bipartisan legislation labeled as Anna and Abigail's Law, passed unanimously in both the House and Senate last year.